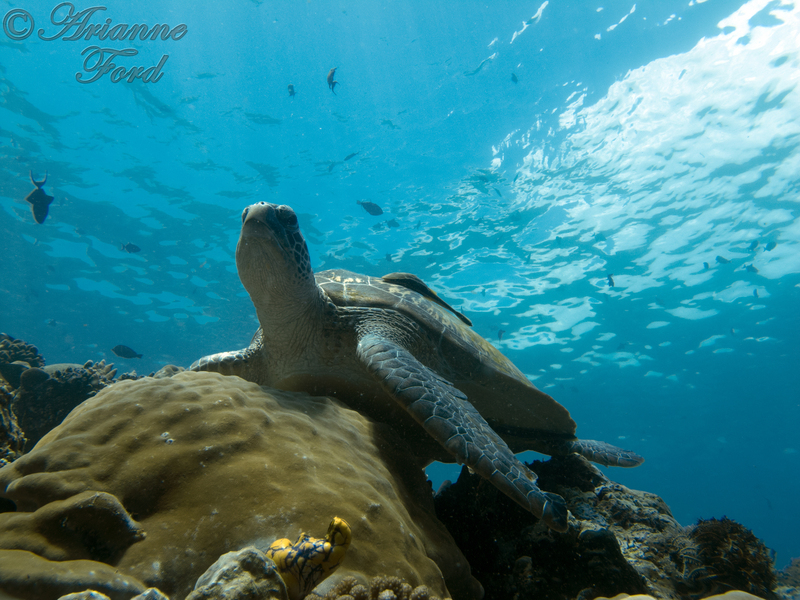 Underwater Photography: Will new gear help? I'm currently shooting a Canon G12 in the Recsea housing, and have a single Sea&Sea YS-01 strobe for it. As you can see from the linked image, I'm really missing capturing some of the detail in the shot. I thought I had the camera settings pretty much sorted out, but perhaps not. Does anyone have any suggestions as to how photos such as this might be improved? I know I only have one strobe, but I am contemplating to the idea of either purchasing a second one, or buying a focus light. Budget can't really stretch to buying both at the moment. Thoughts? I used to shoot with a similar configuration for quite a while and from what I see in your shot, the flash didn't give enough light to light the under side of the turtle. All the shadows I see are created by the sunlight. What settings did you use if you don't mind me asking? In which mode did you shoot? O, Av, Tv, M? Depending on your answer, I might be able to give you some more informations. One thing is for sure, though... your strobe can give more than enough light for this shot, so it's more a matter of technique than equipment. Focus light does only what it says... it helps your camera focus, but it won't give you any of the details missing in your picture. Good article, I like to read your article, contains a lot of useful information.